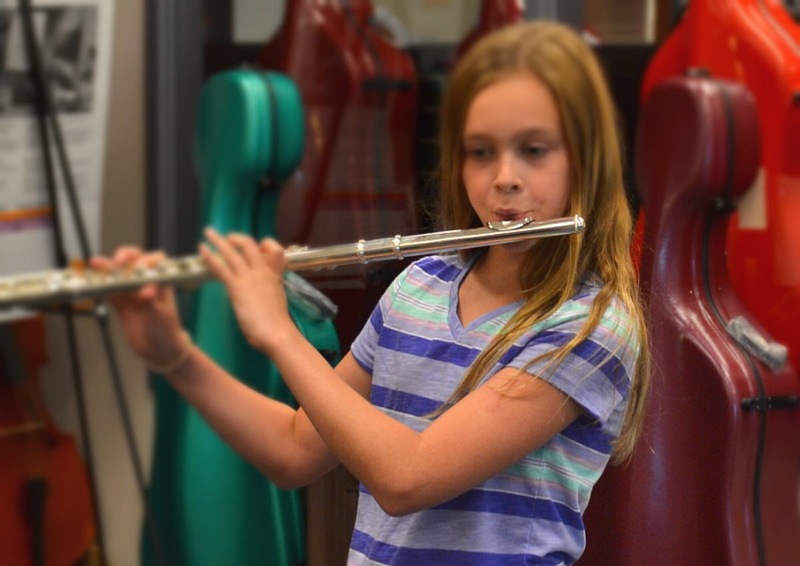 Beginning flute players have a number to hurdles to overcome right at the very beginning including shaping the aperture, blowing, directing the air, balancing the instrument in their hands and tonguing. Kids seem to be most resistant to attempting to tongue because it appears to them to be difficult to coordinate that with the blowing and everything else they are learning to do. In the worst case scenario, kids give up on tonguing after a few halfhearted attempts. I run into this resistance all the time with beginners, but have learned over time that a little creative problem solving has given me some tools to help kids over the hump so they can add articulation to their arsenal of flute playing skills. In each of these cases, start by having the students shape the flute aperture (or grip the straw) and blow a continuous stream of air for as long as they can. Never mind about tonguing with this first drill. If you are using a PneumoPro, have them see if they can isolate just one pinwheel when they blow (It doesn’t matter which one at this stage, only that they can narrow it down to just one pinwheel.) Then practice starting to blow by saying “Too” as they start the air moving. Tongue should strike behind the top teeth where teeth and gums meet. You can do this in rhythm if you like, especially on a longer value like a whole note. That way they can begin each breath with “Too.” The final step with this kind of drill is to have the students blow steady air, starting with “Too” and continuing to say “Too” while maintaining the flow of air: “too, too, too, too, too,” in quarter notes (crochets) and/or eighth notes (quavers). After the kids can do all these drills on their “pretend flute,” have them go through the same process on just their headjoints. Be sure to have them bring up the headjoint into position from below. Finally, you can do these drills on one note such as B or Bb in the staff. A word or two about spitting rice. I’m not a fan of it for a couple of reasons. 1) It encourages tonguing between the lips which then disrupts the shaping of the blowing aperture and hence affects tone quality. 2) You can spit rice with just the air in your mouth. You don’t actually need to blow and tonguing while blowing is the entire point of the exercise. Be sure to use these drills as much as needed in the first weeks of playing. Like it says on your shampoo bottle, “Lather, rinse, repeat,” until all your flute students are tonguing consistently. They will sound better sooner if you do.